We’ve all been there — working late on one of several deadlines, and with little or no time for our personal lives. We look around and wonder what everyone else is working on. We often forget why we took this job, our work feeling disconnected from the big picture. Our morale plummets — and, while being a high performing team member, still feeling a great sense of burden and alone in the trek. This is at the heart of the challenge of employee engagement: How do we help everyone in our organization feel more connected to the bigger picture — and to one another? We are usually OK with working hard. What we want is to feel that our hard work matters, that we are producing results that count, and that we are not alone in that journey. That collectively, we are working towards a meaningful common outcome. It’s the responsibility of every leader at every organization to make that kind of engagement real — by making clear decisions, choosing clear priorities, and by helping each team member to understand how their hard work drives to this common outcome. 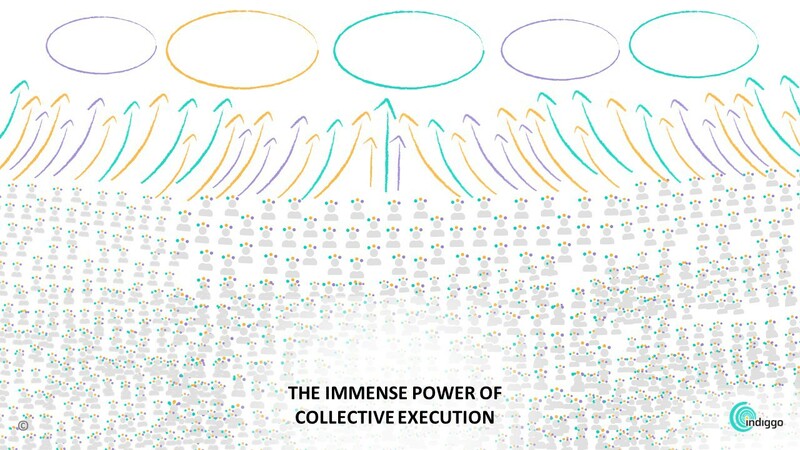 Working with this kind of ongoing clarity, full transparency and dynamic alignment puts us on the road to building a connected community of leaders that achieve collective execution.